There is nothing quite like an amazing burger with fries. Mathlete will order that at just about any restaurant we go to if it is offered on the menu. 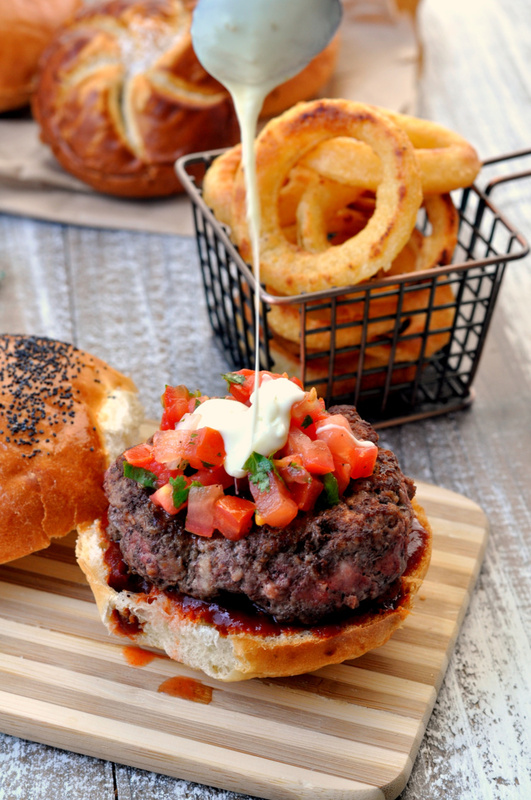 At home, once the weather warms up, we are all about firing up the grill for burgers and finding the best fries or onion rings (for me) to go with it. We were on spring break this week, and our inaugural burger for this grilling season was a cheesy taco burger. Now, I am a firm believer that you can’t have a burger without fries or onion rings. Since the kids like fries and I like onion rings, I typically make both so everyone is happy. The trouble is finding fries that you make at home that actually taste like restaurant quality fries. 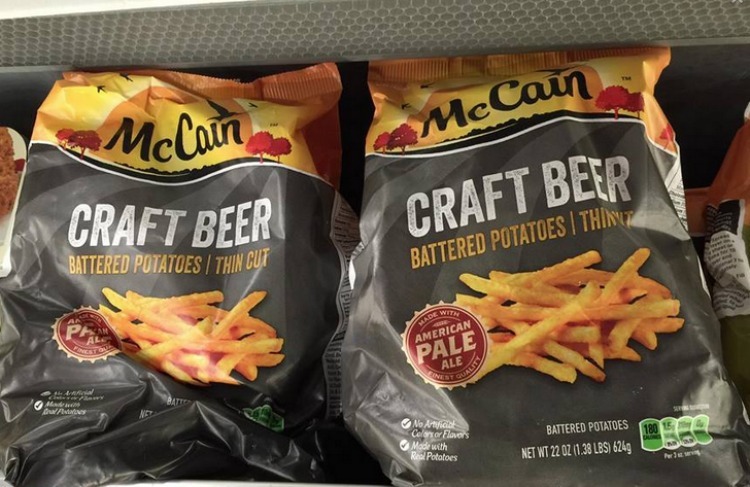 Well, that problem is now solved thanks to finding McCain Craft Beer Battered fries and Onion Rings at Giant. 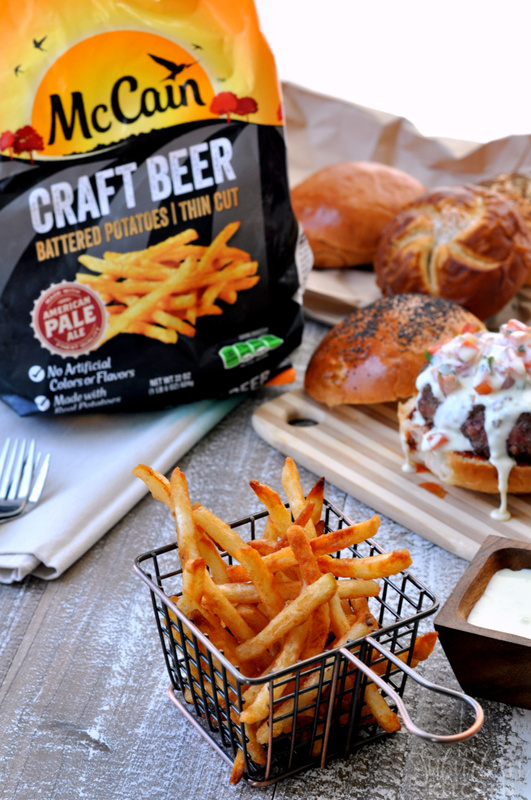 They are made with real potatoes and crafted with American Pale Ale. I made the fries in the oven to go along with our cheesy taco burger and they tasted so good. 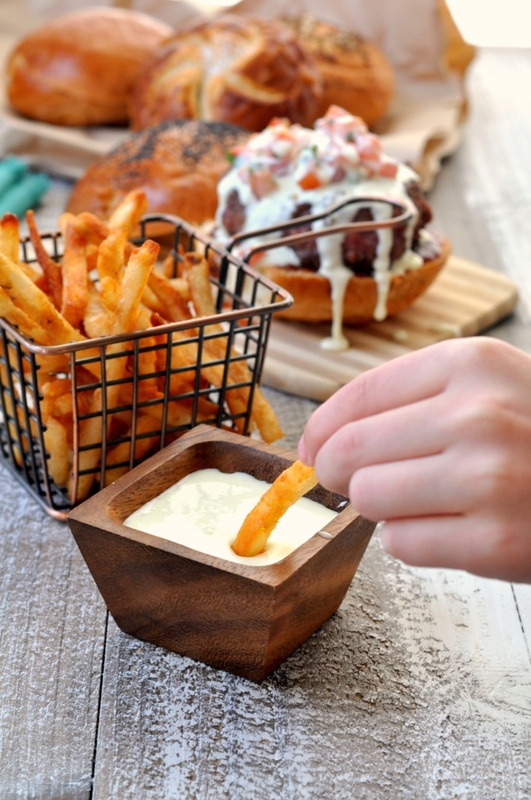 I had some left over cheese sauce from making the burgers and the kids were using that as a dip instead of ketchup! 1. In a large bowl, mix together beef, pork, salt, pepper and taco seasoning. Form into 4 burgers, pressing each in the center with your thumb. 2. Heat grill to medium high heat. Add burgers and cook for 5-7 minutes on each side or until they reach desired degree of doneness. 3. Spread adobo sauce on bottom half of bun. Add burger. 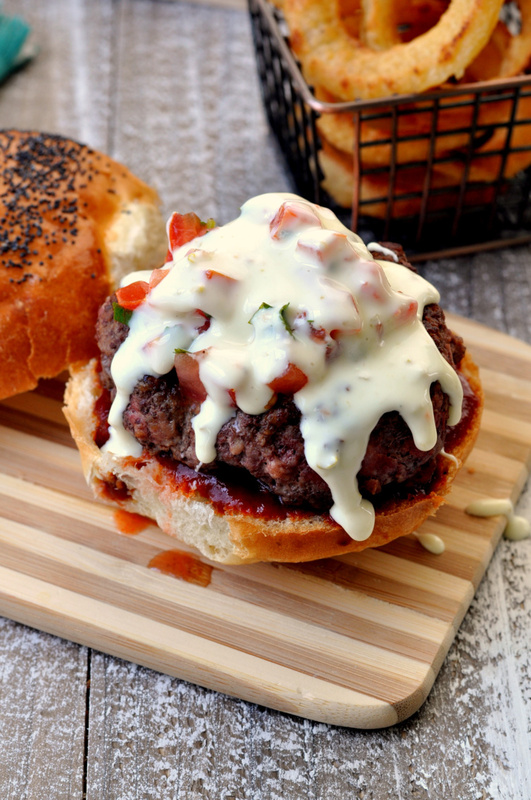 Top with pico de gallo and then drizzle with queso cheese sauce. 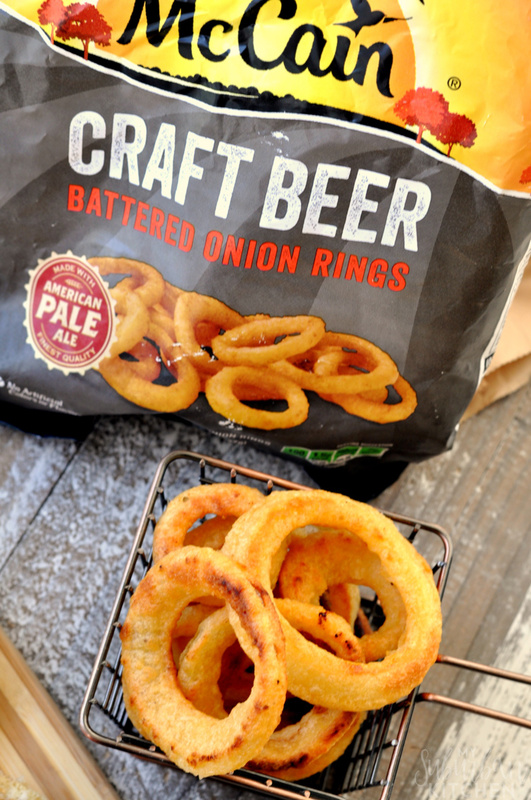 Add top of bun and serve with McCain Beer Battered Fries and Onion Rings. My kids ate some of their burger but they were so in love with the fries and onion rings that I think they ate those first! 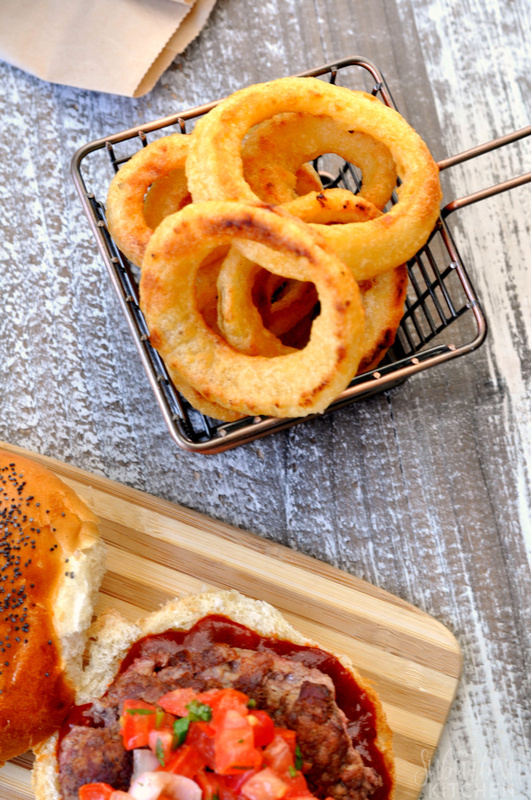 The burgers, fries and onions rings made for a perfect evening dinner where we could hang out as a family and enjoy the warm weather. I can’t wait to have even more summer fun grilling outside and enjoying our burgers alongside McCain Beer Battered Fries and Onion Rings. With our busy schedules, settling down to a dinner together is one way we ensure we make the most of summertime together. In a large bowl, mix together beef, pork, salt, pepper and taco seasoning. Form into 4 burgers, pressing each in the center with your thumb. Heat grill to medium high heat. Add burgers and cook for 5-7 minutes on each side or until they reach desired degree of doneness. Spread adobo sauce on bottom half of bun. Add burger. 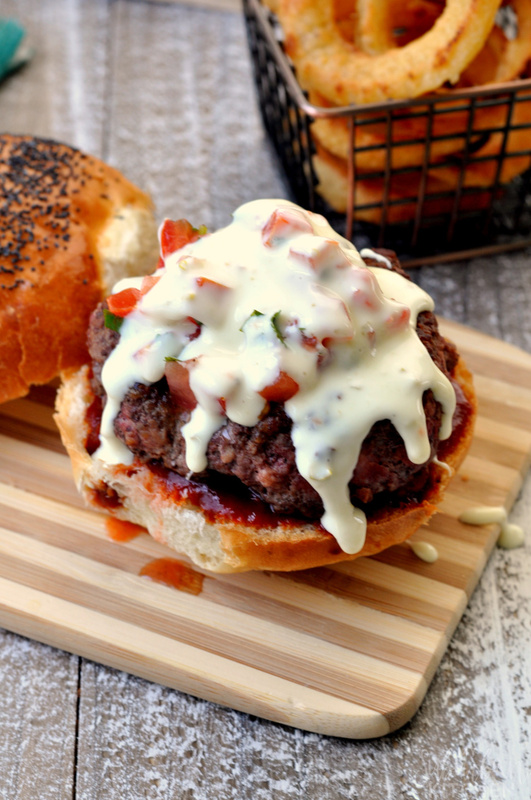 Top with pico de gallo and then drizzle with queso cheese sauce. Add top of bun and serve with McCain beer battered fries and onion rings. Oh these look so good! I love using craft beer in recipes (I like drinking it too lol). This is perfect, i have to try them this summer. thanks for sharing the awesomeness.